Docking at the Bodrum pier, you will be met by your lecturer/guide and start your explorations in Bodrum, the most charming resort town with its cozy Mediterranean architecture and historical monuments. Boarding your luxury vehicle, you will be given a short ride to the center, where, after a short walk, you will reach the Crusaders’ Castle of St.Peter’s dominating the Bodrum Harbor. Start your tour by visiting the English and the German Towers representing the nationalities of the knights. The English Tower was decorated as feast-hall of the knights of St.John who were once the masters of this gigantic edifice. Inside the castle, there are individual small museums displaying attractive works of archaeology such as the skull of Carian Princess and relics of underwater archaeology. During your exploration of the castle, your lecturer guide will accompany you to the Treasury section where you will observe the Uluburun Shipwreck known as the oldest shipwreck in the world. Continue to the site of Mausoleum built in 4th century BC going through the narrow streets that are reflecting very much of Mediterranean architectural tastes. King Mausoleus lived in 4th century BC and got a tomb built for him that got to be recognized as one of the Seven Wonders of the ancient world. 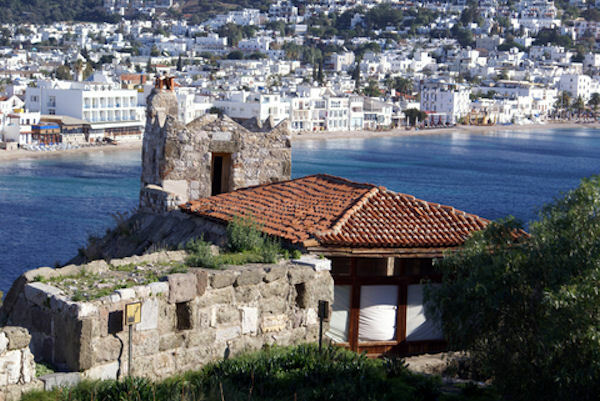 After touring the site of the Mausoleum, after completing your tour, you will have leisurely time in the markets of Bodrum, hunting for bargains in handmade rugs, jewelry and leather works. You will be boarding your buses and will be escorted back to your cruise ship. You will want to wear comfortable walking shoes and bring along your camera. A tour voucher is required for children age 6 and older. No charge for children 5 and under. Minimum of 2 passengers required.